Australian producer and multi-instrumentalist JACK RIVER is bringing her ambitious psych-pop sound to New Zealand for the first time. Audiences will get the opportunity to witness this unique artist in an intimate performance at The Tuning Fork on March 30. Tickets for all shows go on sale at 1pm Thursday, March 14. My Live Nation members may also secure tickets first during the pre-sale beginning 12pm Wednesday, March 13 until 12pm Thursday, March 14. It’s been an enormous year for Aussie artist Holly Rankin, otherwise known as her alter ego Jack River. 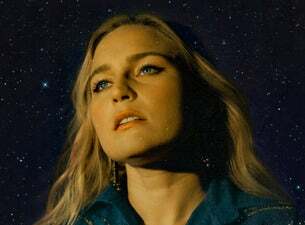 Off the back of the release of her debut album Sugar Mountain in 2018, widespread critical acclaim poured in while also garnering her three ARIA nominations for best breakthrough artist, best pop release and engineer of the year. The music of Jack River tells a painful personal story after the tragic death of her beloved younger sister in a freak accident eleven years ago. “These songs are all visions of youth that I was almost involved in, but I’m only really able to reach towards it,” she says of her debut release. Working with her on her first body of work was visionary mixer Spike Stent (Beyonce, Grimes, Frank Ocean, Madonna) and fellow co-producers and multi-instrumentalists Xavier Dunn and John Castle. Her songwriting has seen her making bills on festivals across Australia and featuring on her latest hit track Sugar, with hit DJ duo Peking Duk. New Zealand is next to bear witness to Jack River’s spacey riffs and melodic pop highs.